This is a short overview of autism science and biology designed for people in the general public who have no experience with autism. The talk reviews many initial false assumptions about autism and where the science is now pointing. We will review genetic risk factors, with emphasis on the primary genetic risk factor: calcium channel signaling. Environmental and biological factors that impact that pathway will be discussed, which is critical to autism, but also impacts everyone. Wu, Jianping, et al. "Structure of the voltage-gated calcium channel Cav1. 1 complex." Science 350.6267 (2015): aad2395. Büsselberg, Dietrich. "Calcium channels as target sites of heavy metals. "Toxicology letters 82 (1995): 255-261. Feske, Stefan. "Ca2+ influx in T cells: How many Ca2+ channels?." Frontiers in immunology 4 (2013): 99. Naviaux, Robert K. "Metabolic features of the cell danger response." Mitochondrion 16 (2014): 7-17. Cavalli, Vera Lúcia de Liz Oliveira, et al. "Roundup disrupts male reproductive functions by triggering calcium-mediated cell death in rat testis and Sertoli cells." Free Radical Biology and Medicine 65 (2013): 335-346. This talk will focus on barriers that can block and impact the road to recovery. The first barrier is the complexity of autism. We will start by acknowledging the complexity of the genetics, environmental factors, and the symptoms of autism. Then, several concepts will be introduced to organize and radically simplify how we think about autism. The talk will review a list of known and suspected environmental factors, as well as practical ways you can start to reduce your exposures. 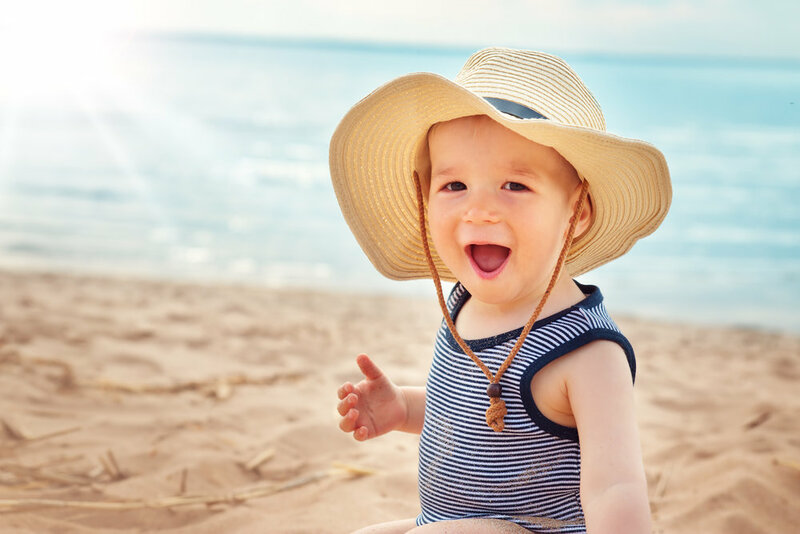 There will be an emphasis on reducing exposures to wireless and EMF (electromagnetic fields), since these rapidly growing exposures and their health impacts are not generally well understood by parents and healthcare professionals. Thomas, David. "A study on the mineral depletion of the foods available to us as a nation over the period 1940 to 1991." Nutrition and Health 17.2 (2003): 85-115. Mayer, Anne-Marie. "Historical changes in the mineral content of fruits and vegetables." British Food Journal 99.6 (1997): 207-211. Click on the slide image to view the slides. This presentation includes my personal story of helping my two boys recover from autism and restoring my own health. It also includes key concepts for understanding autism as a state of overload from multiple factors (total load theory) and how wireless radiation and EMF fit into that context. Additionally, I explain what you can do to immediately reduce your child’s exposure to wireless radiation and EMF (electromagnetic fields) and how to be more resilient to its effects. Finally, I discuss the role of fight or flight mode in the context of EMF and detox, as well as other emerging solutions to reduce wireless and EMF exposure. This year at the Autism One Conference in Chicago, I gave a new talk, "Simplifying Autism Improvement and Recovery." Autism appears to be a highly complex condition. Researchers looking for a single genetic mutation have now found more than 1000 genes that increase the risk of autism. Researchers also looked for a single rising environmental factor, but they found a large number of diverse factors that all increase the risk of autism. The symptoms of autism vary dramatically and there are so many biological symptoms that it's hard to know which areas to focus on. Despite all this complexity, people are improving and even recovering from autism. And there are new ways of looking at autism that may dramatically simplify our understanding of the condition. When researchers look at the genetic risk factors for autism, the largest cluster of genes are associated with calcium channel signaling. There are some key environmental factors which impact calcium channel signaling. This is relevant because all of the major symptoms of autism are also all impacted by calcium channel signaling. Calcium channel signaling is used to excite cells. For a neuron, the more excited it is, the higher the probability that it will fire. In autism there is too much excitement (an imbalance of excitement and inhibition--the ability to calm down). Overexcitement, over the long-term, can actually damage cells and interfere with learning and brain development. 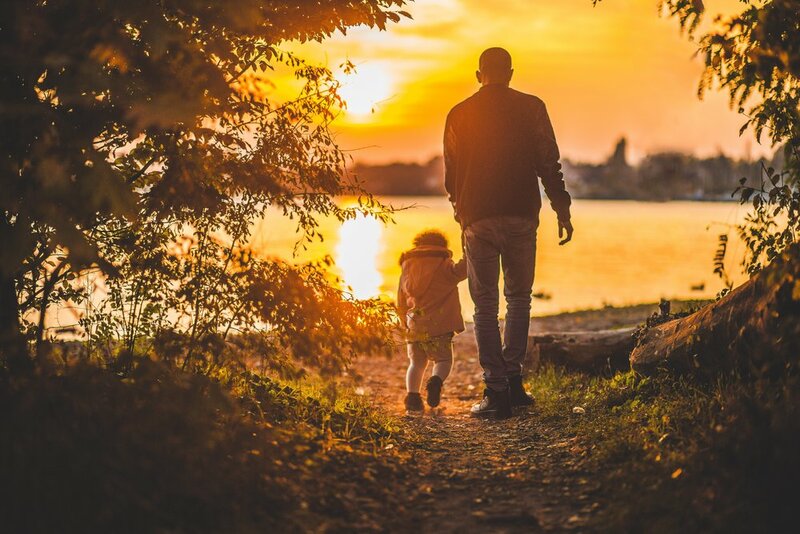 Viewing autism as a long-term overload of excitement and excitatory environmental factors simplifies this complex condition and allows us to take action to reduce environmental exposures, calm the body, and restore functioning. This clearer understanding of autism may help simplify how we treat the condition and make it easier to improve and even recover. In the 1970’s a small group of people were able to prevail against industry and get lead removed from gasoline and paint. Because of their efforts, children born after 1980 have higher IQs. One of those people, Dr. Herbert Needleman just passed away on July 18th. To me, Dr. Needleman was a true hero who impacted the lives of almost every American and I would like to honor and thank him and his family for his amazing and inspiring contribution to humanity. This year, Clear Light Ventures is proud to be a Gold Sponsor of the Autism One Conference as it moves to its new location in Colorado Springs. Peter Sullivan will be giving two talks at the conference. 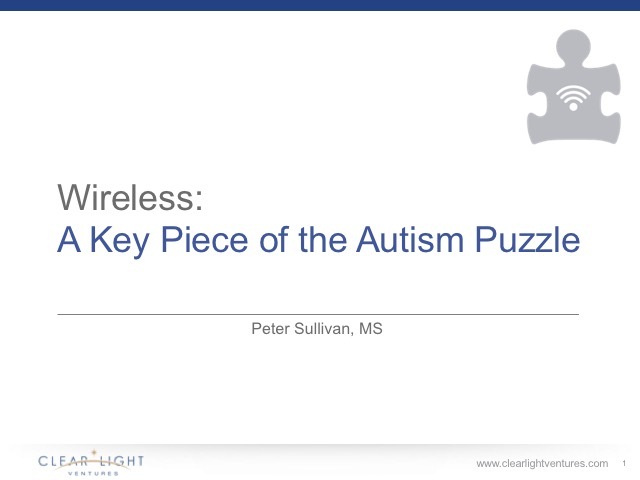 The first talk, “Wireless: A Key Piece of the Autism Puzzle” will be given on Friday, May 26, at 10:30 am. His second talk, entitled “Autism and Your Home” will focus on a wide range of environmental factors in your home which have been linked to a higher risk of autism, and what you can do to reduce these exposures. “Autism and Your Home” will be presented on Saturday, May 27th at 9:15 am. During the conference, Clear Light Ventures will also be hosting MeetUps for members of the Facebook group Autism and EMF. See the group for details. On Thursday night at 9:00, Clear Light Ventures will be sponsoring a sneak preview of a new film about the health effects of cell phones and Wi-Fi radiation. We look forward to seeing you at Autism One this year. What happens when a false belief collides with reality? This is the question of our time. Do you shift course and change or double down or continue on as though nothing has happened? Does wealth and power allow you to change the laws of physics or biology? What happens when the majority of people have accepted a reality and you are now not only wrong, but in the minority? What happens when denial is no longer an option? It’s easy to point to politicians and business leaders who are challenged by reality. It’s much harder when this situation appears in your own life. What happens when a reality undermines your identity in the world? Will you listen, even when the answer is something you don’t want to hear? Will you be able to change your mind, even though you have invested your time and money? Will you take a stand to prevent others from being harmed? Will you resist change even when harm to yourself is inevitable? Or have you even lost the capacity to change at all? There is a train wreck about to happen in Silicon Valley as two grand ideas collide with reality. Larry Page from Google and others are making plans to focus on health and how to extend human life. Facebook founder Mark Zuckerberg and his wife Dr. Priscilla Chan have asked the question, “Can we cure all diseases in our children’s lifetime?” and have pledged $3 billion dollars toward that goal. Another inspiring goal in Silicon Valley is to bring Internet access to everyone on the planet. The goals around health and Internet access both seem incredibly empowering at face value. The conflict between them only appears when you re-evaluate the false assumption that wireless technology is safe, and you read the mounting evidence of harm, the thousands of studies that have been amassed over decades by hundreds of researchers around the world. A truly safe technology would not cause damage to DNA. It would not increase free radical damage or contribute to an increased risk of cancer. It would not negatively impact sleep or the nervous system. It would not open up the protective blood brain barrier. It would not increase inflammation, a factor in all chronic disease. Published studies have found all of these effects, and many more. Finding this evidence and reading through it is hard. But what makes this truly challenging is seeing evidence that this harm has been known for decades by the US government, well before cellular technologies were licensed and sold to consumers . Some of the companies even tried to “wargame” and confuse the science, something that even tobacco companies did not attempt to do. A Harvard ethics paper has been written on this topic. It is clear that some people have known about this harm for decades, but most people in Silicon Valley are completely unaware of it. So, what will happen the day that Larry Page gets this information from one of his health care researchers at Calico Labs? Or if he types in a Google or Google Scholar search and finds published research about the detrimental health effects of wireless? Will he realize that Google’s plans to use wireless in the US and in balloons around the world is in direct conflict with his goal to extend human life? What will happen the day when Dr. Priscilla Chan, a pediatrician, reads the American Academy of Pediatrics latest recommendations to reduce wireless exposure for children? What will she tell her husband Mark Zuckerberg, founder of Facebook, who is developing drones to provide wireless coverage to the most unreachable corners of the planet? What will Elon Musk do when he discovers that one of the biggest challenges of getting to Mars (shielding astronauts from the health impacts of ionizing cosmic radiation) is not much different from protecting Solar City customers from the radiation emitted by smart meters, wireless solar monitors, and solar power inverters? Will he change his proposed rollout of SpaceX satellites to provide worldwide Wi-Fi coverage? The hardest parts of this problem are not technical. They are the same patterns of attitudes and beliefs and ego that have plagued humans for as long we have existed. I don’t know what these individuals will do. I only know that accepting this was hard for me, and I hadn’t made public commitments to billions of people or invested large amounts of money in this endeavor, as Page, Musk, and Zuckerberg have. I can only hope and pray, that they will make wise choices. That their high intentions for humanity will continue and they will muster the courage to face the hard reality that these exposures are harmful. That they will help make Internet access safer than it currently is and eventually completely safe. And in the end, that we will share information and empower each other without sacrificing our health or the health of our children. This book draws the audience in with the positive movement of neurodiversity. But the book is a whitewashing of autism, looking at all of the positive aspects, and none of the negative ones. There are no mentions of the meltdowns, self-injurious behaviors, like head banging, or higher risk of suicide or shorter life span. Steve is not a member of the “tribe” and doesn’t have a child on the spectrum. One wonders why he wrote this book. The true intent of this book seems to be to lower the credibility of people who seek to discover or treat underlying biological issues, or examine environmental factors in autism. There is a subtle product placement for the drug Risperdal. No other drugs are mentioned, which leads one to wonder if he has an exclusive marketing deal with the pharmaceutical company that makes it. He praises neurodiversity as positive because it brings in more diverse ways of thinking and being, but he doesn’t seem to like a diverse range of ways to treat and manage autism. The author mentions that he first believed there was an epidemic of autism, but now believes that that is a myth. He asserts that the rise in reported cases is due to an widening of the diagnostic criticia. If this was the case, the rate of autism would have risen and then leveled off and that is not what has happened. Unfortunately, the beautiful cover and the premier publisher and marketing make this argument appear to have some merit and credibility, when it is actually considered fringe by researchers in the field. Lots of details and stories, but I’m not seeing a solid case presented for that argument. He argues that we should not spend millions on genetic research or look for environmental factors in autism. This book seems to be a drug company’s marketing strategy written as a persuasive narrative and trying to ride along on the neurodiversity movement. If you want to support neurodiversity, buy a book that is written by someone on the spectrum, not from someone who writes like he is funded by a drug company. What is required to end the autism epidemic? Fallon, Joan. “Could one of the most widely prescribed antibiotics amoxicillin/clavulanate “augmenting™” be a risk factor for autism?.” Medical hypotheses 64.2 (2005): 312-315. Fujiwara, Takeo, et al. “Chemicals, nutrition, and autism spectrum disorder: a mini-review.” Frontiers in Neuroscience 10 (2016). Boggess, Andrew, et al. "Mean serum-level of common organic pollutants is predictive of behavioral severity in children with autism spectrum disorders." Scientific Reports 6 (2016): 26185. Samuel, Anthony, and Stephanie Seneff. “Glyphosate, pathways to modern diseases III: Manganese, neurological diseases, and associated pathologies.” Surgical neurology international 6 (2015). Good, Peter. “Did acetaminophen provoke the autism epidemic.” Alter. Med. Rev 14 (2009): 364-372. Zaire, S., et al. “A Challenging Issue in the Etiology of Speech Problems: The Effect of Maternal Exposure to Electromagnetic Fields on Speech Problems in the Offspring.” Journal of biomedical physics & engineering 5.3 (2015): 151. Herbert, Martha R., and Cindy Sage. “Autism and EMF? Plausibility of a pathophysiological link–Part I.” Pathophysiology 20.3 (2013): 191-209. Fern, F., et al. “Olfactory stem cells reveal MOCOS as a new player in autism spectrum disorders.” Molecular psychiatry (2015). Robertson, Caroline E., Eva-Maria Ratai, and Nancy Kanwiyher. “Reduced GABAergic Action in the Autistic Brain.” Current Biology 26.1 (2016): 80-85. Wong, Christine T., Joshua Wais, and Dorotea A. Crawford. “Prenatal exposure to common environmental factors affects brain lipids and increases risk of developing autism spectrum disorders.” European Journal of Neuroscience 42.10 (2015): 2742-2760. Bumper, Elizabeth. “Can awareness of medical pathophysiology in autism lead to primary care autism prevention strategies.” North American Journal of Medicine and Science Jul 6.3 (2013): 135. Naviaux, Robert K. “Metabolic features of the cell danger response.” Mitochondrion 16 (2014): 7-17. Volk, Heather E., et al. “Residential proximity to freeways and autism in the CHARGE study.” Environmental health perspectives 119.6 (2011): 873. Carlo, G. L., and T. J. Mariea. “Wireless radiation in the etiology and treatment of autism: clinical observations and mechanisms.” Journal of the Australasian College of Nutritional and Environmental Medicine 26.2 (2007): 3. Packer, Pal, Joseph S. Beckman, and Lucas Liaudet. “Nitric oxide and peroxynitrite in health and disease.” Physiological reviews 87.1 (2007): 315-424. Gialloreti, Leonardo Emberti, et al. “Reduction in Retinal Nerve Fiber Layer Thickness in Young Adults with Autism Spectrum Disorders.” Journal of autism and developmental disorders 44.4 (2014): 873-882. Fallon, Joan M. "Method for identifying autistic individuals amenable to digestive enzyme therapy." U.S. Patent No. 8,008,036. 30 Aug. 2011. Roberts, Timothy PL, et al. “MEG detection of delayed auditory evoked responses in autism spectrum disorders: towards an imaging biomarker for autism.” Autism Research 3.1 (2010): 8-18. Is Screen Time Making Our Children Mentally Ill? This blog article was written as a one page handout for parents attending the documentary Screenagers in Palo Alto, California. There is growing awareness of screen addiction, but most people are still in the dark about an issue that goes hand in hand with screen time: the health effects of wireless radiation exposure. There is a growing body of published research on this. Below is a small selection of studies, articles and as well as a video from a public health event on the topic. Even if you limit your children’s screen time, they can still be exposed to excessive levels from baby monitors, Wi-Fi, cordless phone base stations, and cell towers. Palo Alto has higher power cell towers, and places them closer to residential areas and schools than surrounding communities allow. The same physiological processes that are targeted by psychiatric drugs are also impacted by wireless radiation. The most commonly reported symptoms of wireless exposure are sleep disturbance, headache, fatigue, and depression.